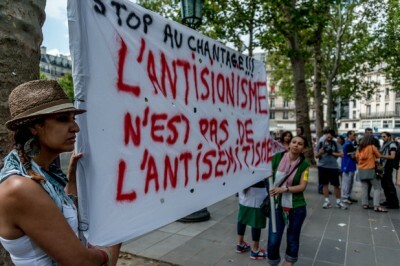 Manifestations of bigotry against Jews do still exist in France. At the most extreme there have been violent and thankfully very rare incidents such as the murders of two children and an adult at a Jewish school in Toulouse in March 2012 by a gunman with a troubled history. The shooter, Mohammed Merah, had also killed four French paratroopers who he had targeted for being Muslim. Yet attacks on Jews have often been deliberately distorted and exaggerated by Israel and Zionist organizations for the purpose of creating the impression that Jews face such danger in France that they must leave. The Paris synagogue incident is not an isolated case. In 2013, for instance, the Jewish Agency’s Avi Mayer actively promoted false claims that Israeli filmmaker Yariv Horowitzhad been the victim of a brutal anti-Semitic beating “by a gang of Arab teens” while visiting France. The report was disseminated by French and Israeli media, including Haaretz.